Acne -- an inflammatory skin condition featuring blackheads, whiteheads and pimples -- results from the clogging of your pores with skin oils, dead cells and bacteria. When inflammation goes deep enough, cystic acne can result. Upon clearing, cystic acne may leave holes that resemble large pin-pricks; these are known as "ice-pick" scars. Dermatologists often treat ice-pick scars with collagen fillers. Some herbalists and natural beauty experts advise using herbs -- including aloe vera, neem oil and calendula -- to improve the appearance of ice-pick scars. Consult your dermatologist before using herbs. Ice-pick scars, which can give the skin a pitted, pocked appearance, are one of the most common types of skin damage resulting from acne. Ice-pick scars extend into the subcutaneous skin layer and -- unlike hypertrophic and keloid scars -- involve a loss of tissue; this can make them challenging to treat. Along with collagen fillers, dermatologists may use laser treatments to encourage the regeneration of skin. Herbal treatments also focus on promoting growth of new skin, as well as toning and nourishing the complexion to improve the appearance of ice-pick scars. Aloe vera, a succulent plant indigenous to Africa, features spiny pale-green leaves. Traditional uses include treating skin infections and promoting the healing of burns and cuts. The aloe gel gets its healing qualities from constituents called polysaccharide glucomannans, which have emollient effects on skin. An antiprostaglandin that reduces inflammation is also present in aloe. Drugs.com, which provides peer-reviewed medical information to consumers, reports that aloe vera was found to hasten skin healing after dermabrasion, and credits it with promoting the healing of minor burns, wounds and frostbite. Aloe vera's moisturizing properties may help make scarred skin appear more supple, smooth and reflective. Apply the pure gel directly from the cut leaf of an aloe plant or use a commercial cream containing aloe. Side effects include redness, itching and skin irritation. Consult your dermatologist before using aloe. Neem oil, a yellowish, garlic-scented liquid, is derived from the seeds of a large evergreen tree native to India. A mainstay of the Ayurvedic healing system since antiquity, neem has been used to treat such diverse conditions as diabetes, malaria and cardiovascular disease; it has also been employed to soothe inflamed skin and promote healing. Neem oil has antibacterial and anti-inflammatory effects that may help prevent infection, prevent new scars from forming and improve the appearance of existing scars. Consult a health care professional before using neem oil. 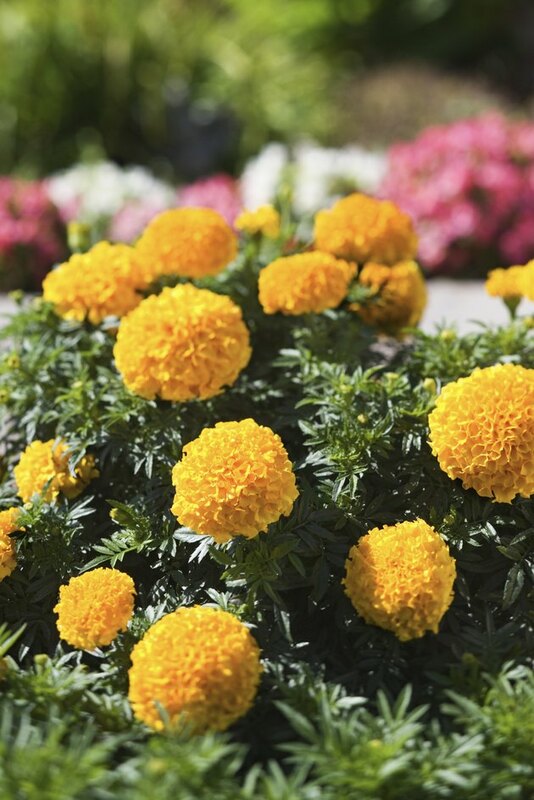 Calendula officinalis, also called marigold, is a common garden annual featuring finely textured foliage and bright orange flowers. The dried petals have been used in herbal medicine since the 12th century for treating cuts and bruises. Calendula's healing properties come from its antioxidant flavonoids. University of Maryland Medical Center credits calendula with anti-inflammatory, antiviral and antibacterial effects, and reports that it has been shown to speed the healing of wounds. In addition, calendula increases blood flow and helps the body produce collagen proteins, essential in healing skin and connective tissue. Calendula is available in tinctures and creams. Consult your physician before using calendula. What Are the Benefits of Noni Tea?